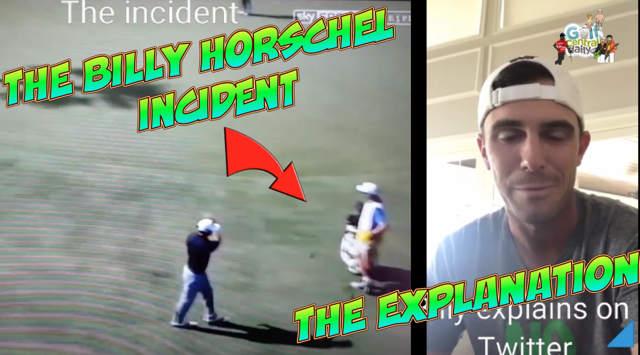 Billy Horschel came in for a huge amount of criticism on social media for a supposed "club throw" on the 13th hole at The Players Championship; so much so that he recorded a video to explain what exactly happened. The Billy Horschel club throw after holing out on 13th was in the heat of the moment. I'm struggling to see any issue at all here. Billy had just made an amazing bogey on the 13th and was pumped up. He clearly never meant to throw the club AT Josh his caddie. If there was any problem maybe it was that he didn't retrieve the ball from the hole before walking away. Anyway here's the video and Billy's explanation after. See what you think?